For someone who claims to not care for birds, I spy quite a few in my home. 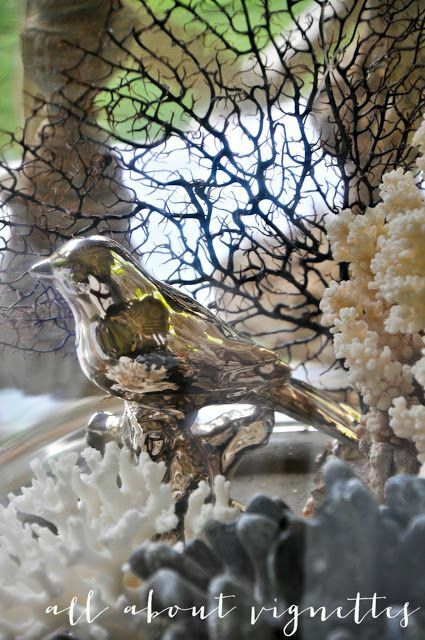 If you've been following my blog you've already seen the mercury glass bird in a cloche on my porch. 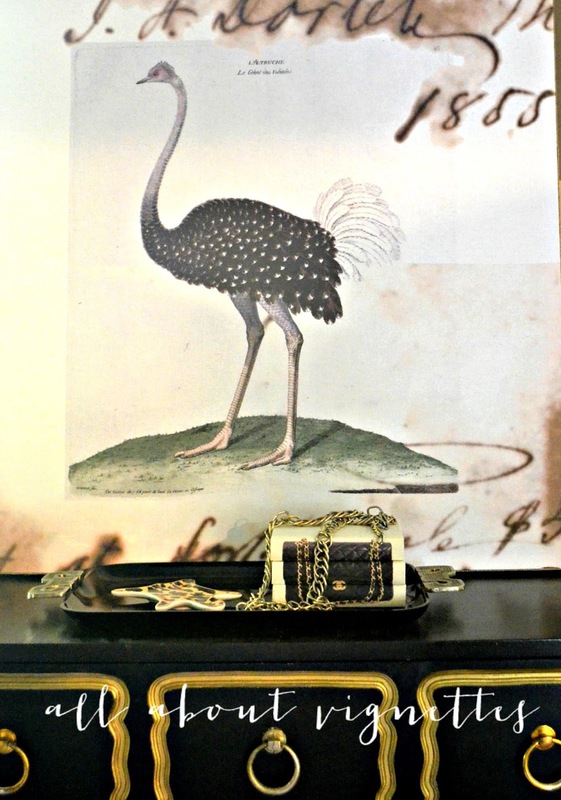 Recently I purchased collage art with an ostrich. I have the art leaning against the wall while I decide if it stays in the foyer or if there's a better spot for me to put yet another nail hole into a wall. 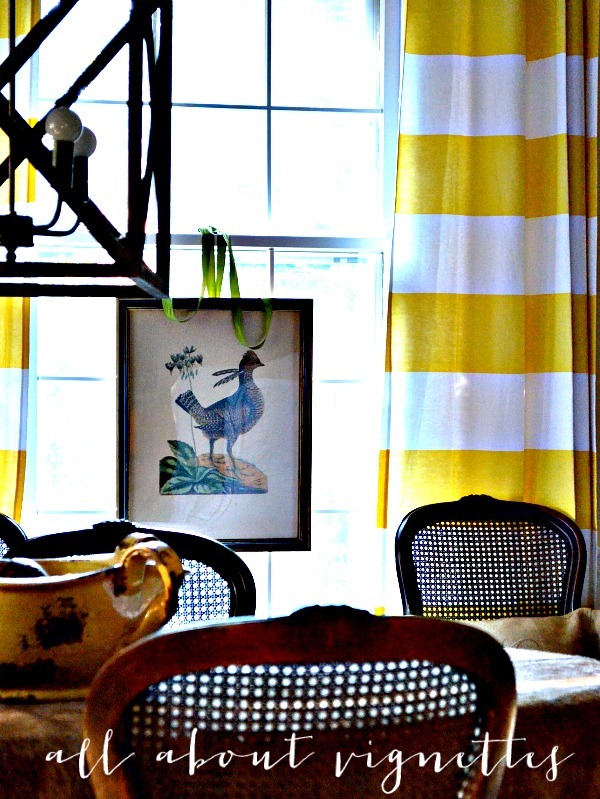 In the dining room I have a vintage hand-colored bird engraving layered over the window. In the upstairs hallway is a vintage Audubon print. There are a pair of bookcases in my family room. 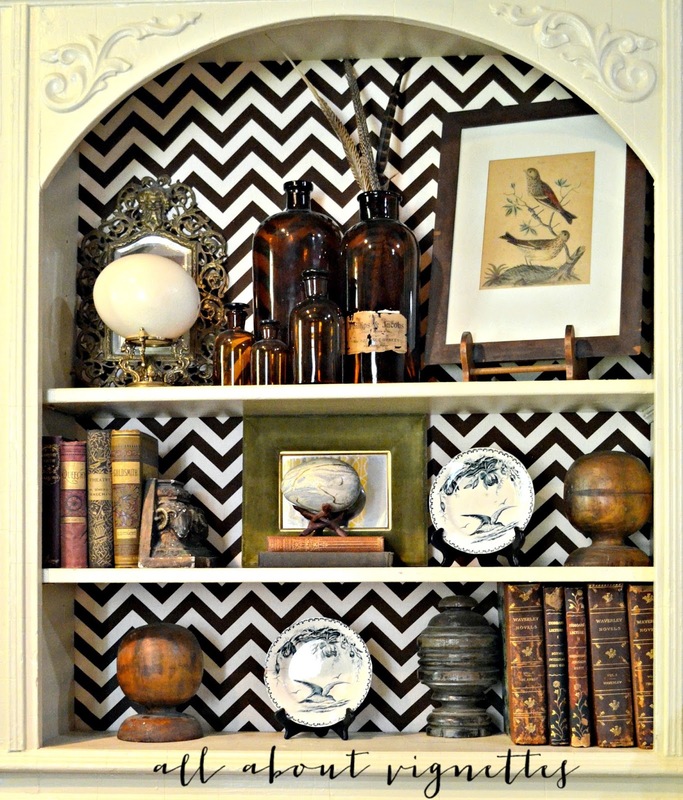 I call them my nature-inspired shelves. You'll see framed vintage bird engravings, eggs, nests, and even some transferware plates with birds in flight. Many years ago I purchased a calendar with Audubon prints. 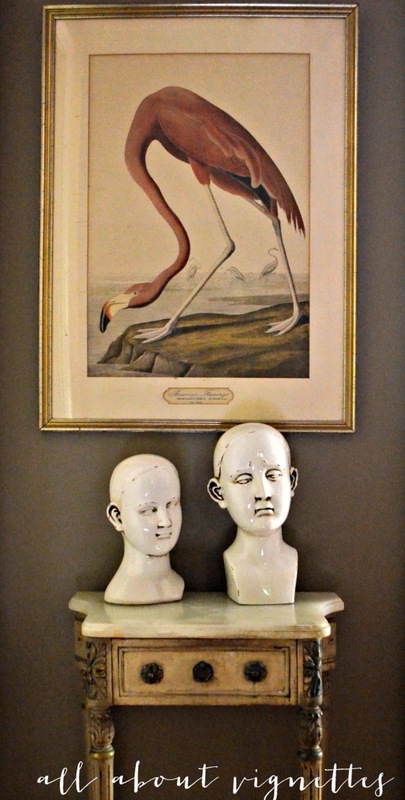 I had my two favorite ones matted and framed. They've been all around the house. This week they're in the kitchen. There's even a bird in the oversized art on the stair landing. 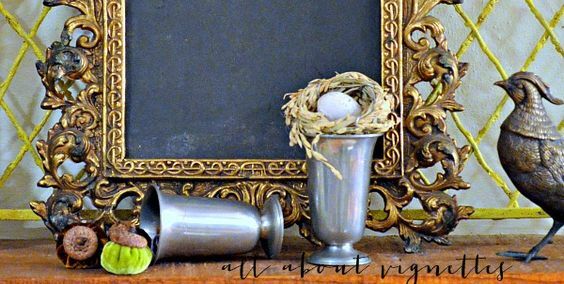 Last but not least, since it is Fall and I haven't done any Fall decorating, I thought I'd share a mantel I pulled together years ago when I was ambitious and changed my mantel seasonally. 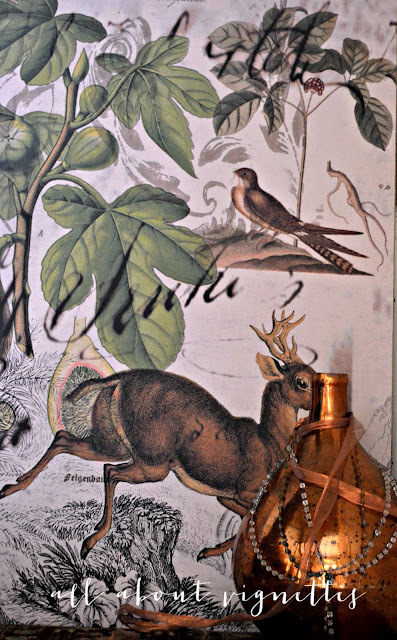 You can see a brass pheasant peeking out on the right. 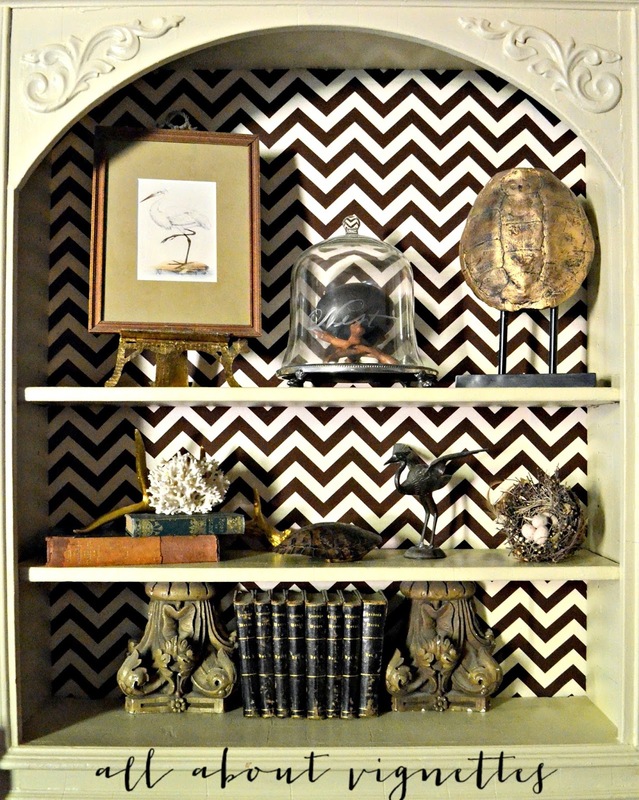 What decor items to you see repeated in your home? 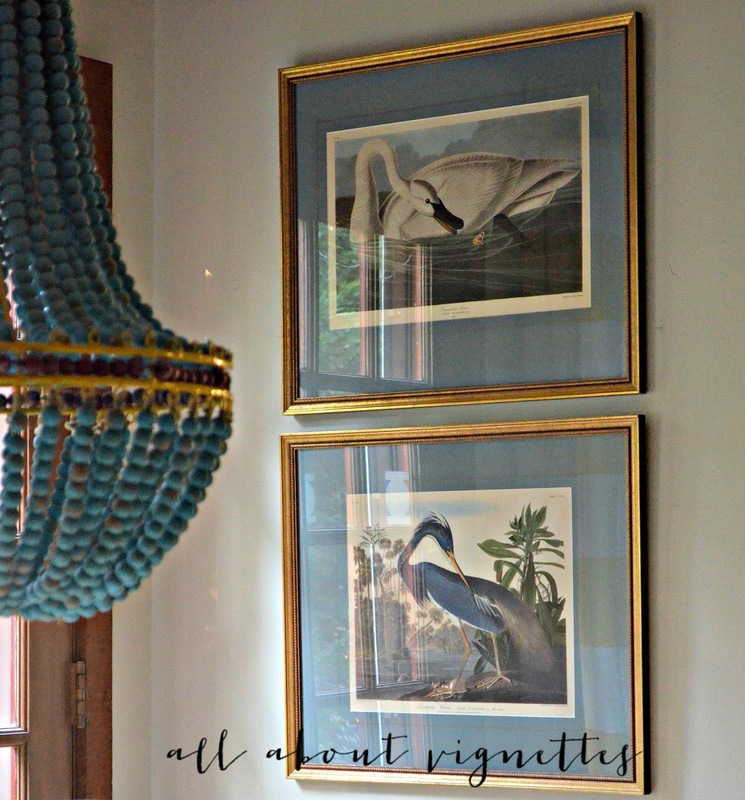 I love birds especially Audubon prints.... being southern, I have lots of oyster shell art and accessories.